I used a window die to cut from a post-it note. I placed the die-cut window on my card front and then used the rest for the cut (outside of window) as a mask over top. Then I sponged some green for the grassy area and blue for the sky. 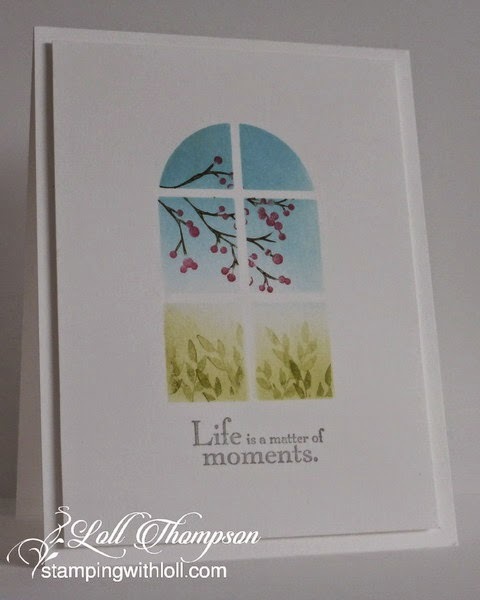 I used only two stamps for the window scene ... a leafy sprig that I stamped two or three times before re-inking (second generation stamping), and a branch with buds. I love how it turned out. Taking off the masks to reveal the card front was so exciting. :) I stamped the sentiment in soft gray to mimic the softness of this sponged scene. 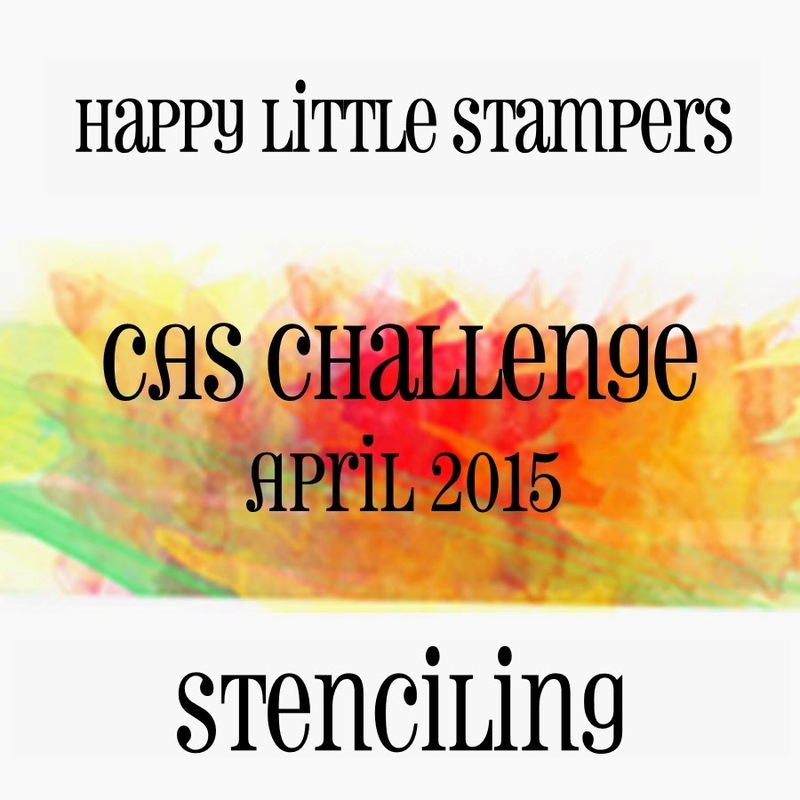 This is perfect for the Happy Little Stampers April CAS Challenge - Stenciling. And it's a different way to use die-cuts and stencils. Awesome! I'm definitely going to be making more of these cards! This is really pretty! And a great job with that technique! Great technique and another cool way to stretch our supplies. Love how yours turned out, Loll! Loll, this is beautiful - the window die made a fabulous stencil for your lovely scene. Such a beautiful scene, Loll! I love how you used your dies and the soft color palette is gorgeous! This is gorgeous Loll - such a cool look, love it. Wow stunning card, just love it! What a beautiful scene! I love the soft colors! Your card is beautiful and it's wonderful when you get to use something for more than it's limited original purpose. LOVE this, Loll - what a great additional use for the lovely window die! And such a pretty scene you created! I always love your cards, Loll, & now this one moves to the top of my list! Fabulous use of the techniques & gorgeous stamping! Incredibly pretty and serene...and such an imaginative way to use your dies! Your creative abundance is so impressive!